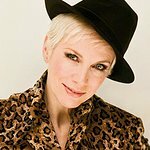 Annie Lennox has recorded a video introducing a temporary celebrity charity shop opening in London this week. A selection of A-list stars – including Carey Mulligan, Elle Macpherson, director Richard Curtis and Colin Firth's wife Livia – have joined Oxfam and Selfridges to create, set-up, stock and staff Britain’s biggest charity pop-up shop. The shop will be in the Selfridges’ Ultralounge (lower ground floor) for one week only from Friday 14th to Thursday 20th. Funds raised by the shop will be supporting Oxfam’s women’s projects across the world including Bangladesh, India, Sri Lanka, Democratic Republic of Congo, West Africa and South Africa. These projects protect, support and empower vulnerable women: campaigning against violence, empowering them to fight HIV and AIDS and offering the poorest girls the chance of education.